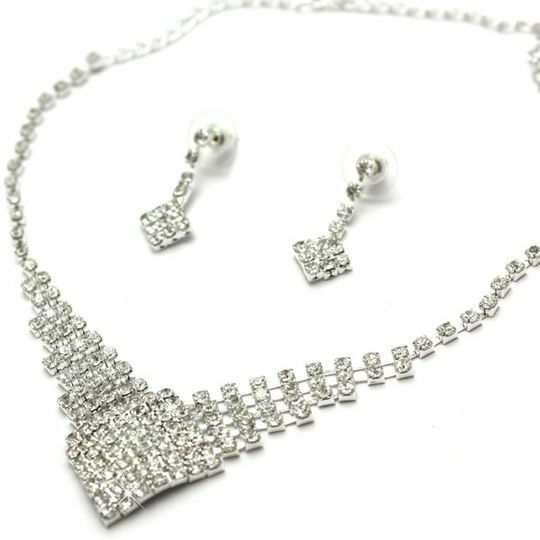 Stunning silver jewellery set designed in an ascending sparkling crystal cube style for a truly glamorous look. Ideal cheap costume jewellery for special occasions. Overall length of necklace 51cm with adjustable chain and lobster clasp fastening. Post finder earrings with 3cm drop.